What your desire to watch (or not to watch) the Blade Runner sequel can teach you about keeping your business relevant. Big brands and blockbusters have a lot in common, including the fact that although quality combined with good marketing should lead to big success, it doesn't always. On 2 November, a man was arrested outside a movie theatre in Atlanta for stealing a Maserati, which he apparently drove to see Blade Runner 2049 - the 35-years-in-the-making sequel to what has become a celebrated cult classic. However, taking the disappointing box office figures as an indication, the public did not appear to share his commitment to seeing the movie. This, despite rampant critical acclaim, positive word of mouth, and ranking on many a must-watch list. Why? What snuffed out the hype? More importantly, for those of us who aren't filmmakers, could it be the same things that threaten to kill a business's efforts to build on previous successes? By and large, the original Blade Runner is considered the epitome of neo-noir science fiction films. The mixing of genres, the special effects, the philosophical criticism, the other-worldly ambience - these were things people hadn't seen before way back in 1982 when the movie came out. But since, the growing popularity of science fiction has brought us The Matrix, Avatar, and most recently, the acclaimed Black Mirror. Reality is also doing its share of fearmongering about our digital future, with everyone casting suspicious glances at AI. And all of this makes the Blade Runner concept significantly less revolutionary in a 21st century context. So, even though the sequel benefitted from a bigger budget than its predecessor, and it scored impressively high on Rotten Tomatoes, it's nothing but a good movie in the grand scheme of things. With technology enabling more ideas and experiences than ever before, consumers are facing overwhelming amounts of choice, leading to more room for failure. Even good products stand a high chance of getting lost in the noise. Reality is also doing its share of fearmongering about our digital future, with everyone casting suspicious glances at AI. It's why we place so much emphasis on being a first mover. Think about it. The iPhone 8, although an improvement on the 7, did not reel in the long overnight product launch lines that the brand has come to expect. Meanwhile, the X model, with a range of never-before-seen features, is raking in rave reviews and even more orders. If the dot-com bubble taught us anything, it's that people don't say "timing is everything" for no good reason. Tech start-ups launching in the late '90s had a hard time muscling into an already crowded market, and the ones that made it were unknowingly even unluckier than those that didn't, suffering the consequences when the bubble burst. Although the entertainment industry is not quite so susceptible to this effect as an industry like fintech, the saturation of entertainment options does make playing in the game a whole lot harder. Who has time to sit in a cinema for three hours when it's easier to just watch Netflix or Showmax from your couch at your own convenience? Then again, both Stephen King's It, released a month earlier, and Murder on the Orient Express, released a month later, are remakes that performed well and outpaced the highly anticipated Blade Runner 2049. One reason for this may be its almost three-hour running time, which is not ideal in a cinema setting, where you can't hit pause for a bathroom break. But even more detrimental to Blade Runner 2049's success may be that no one actually stopped to ask: Who said this was the right time for the sequel? Who said fans wanted to see it in cinemas, as opposed to DVD? Who said fans even wanted a movie? Blade Runner 2049 actually brought in well over R200 million during its run on the big screen - that doesn't sound too bad, does it? The only reason it "underperformed" was because studio execs had been hoping for a bigger turnout... to justify the film's massive R150 million budget. That's more than a season of Game of Thrones, by the way. Three lesser-known micro sequels preceded the movie at a fraction of the price, yet racked up millions of views. Imagine what could have happened if that money had been invested into a series instead. Especially since they are becoming more popular than films, with the likes of Orange is the New Black, The Handmaid's Tale, and Stranger Things sending people to Netflix in droves. Would this not have been a better platform for breathing new life into the old classic? Perhaps Blade Runner 2049'sbiggest mistake was that it bet all its chips on a single platform.If a movie comes out, my son wants to know if it's available as a game, and if a game comes out, he wants to see the movie. It's possible Blade Runner could have grown and groomed the perfect audience, if only someone had thought to kick things off on Xbox or PlayStation first. It's a mistake many organisations continue to make - failing to diversify their service offerings, or relying on tried and trusted platforms without considering whether they're still relevant to their audience. But if you're not constantly trying to grow your value ecosystem, you risk going the way of Blade Runner 2049. Sci-Fi is considered something of a niche market, but if you give these fans what they want, they will buy everything you put your logo on: series, games, T-shirts, mugs, and more. And all that amounts to free marketing and more people willing to pay for your products. So, it's obvious the only way to make sure your product is where it's meant to be is to plant your flag where your target market tells you to. And all you need is the right data to give you the coordinates. Thankfully, digital has given organisations access to the most important tool of all: a way to communicate in real-time with their audience and ask the right questions. What tools are you using to keep a finger on the pulse of your brand's fans? Is it enough to keep you from ending up in the place where the likes of failed films and dud products go to die? 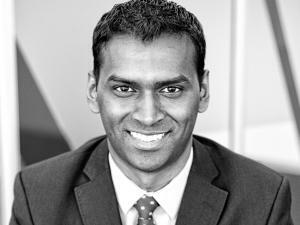 Lee Naik was named one of LinkedIn's Top 10 Voices in Technology and is recognised as one of SA's leading digital and technology transformation experts. He is CEO of TransUnion Africa, where he leads a portfolio of businesses that help organisations make more informed decisions and consumers manage their personal information, leading to a higher quality of life. Check out his Linked blogs and follow him on @naikl for his latest commentary.